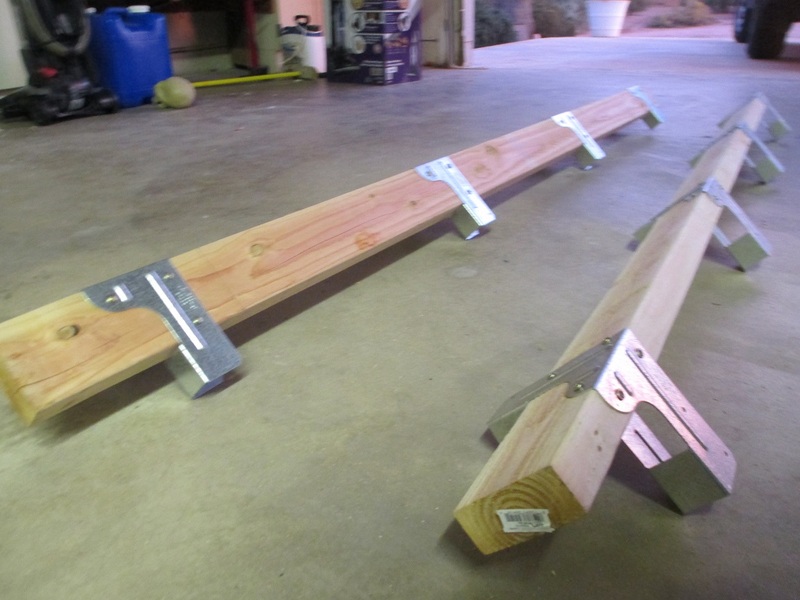 This post will be the third entry in a series detailing a weekend project I recently engaged in, which was the construction from scratch of some garage shelving. Furthermore, I expect that this series will be the first of many woodworking projects that I detail on this blog. Why, you may ask, am I writing about carpentry on a blog that has, up until now, been focused on computers and web development? 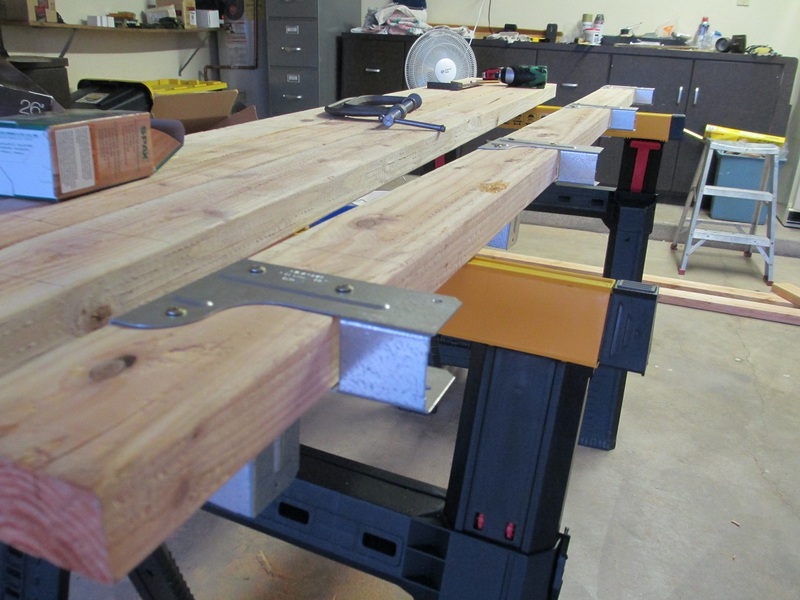 I see this blog as focused on engineering, and woodworking is certainly a type of engineering! Furthermore, I think that there is a niche for amateur woodworking tutorials and I intend to fill that. 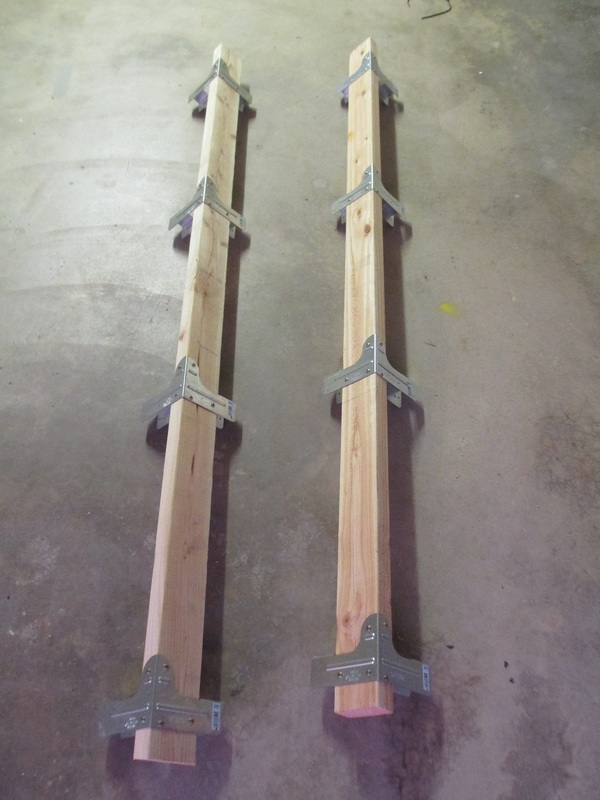 In Part 3 – Attaching the Brackets, I am going to focus on measuring where each of the StrongTie brackets should go on the four posts, and on placing and securing them. These brackets are what will hold our cross beams in place, and it is important that we place them consistently on all four posts so that each of our beams will be level. All you’ll need for this step is a tape measure, a pencil, and a screwgun (along with, of course, enough screws). As you can see in our plans, each post will attach to eight crossbeams at four different levels, with two beams at each level (four beams lengthwise, four beams widthwise). We need to begin by measuring – and marking – the outlines of each beam on the four posts. 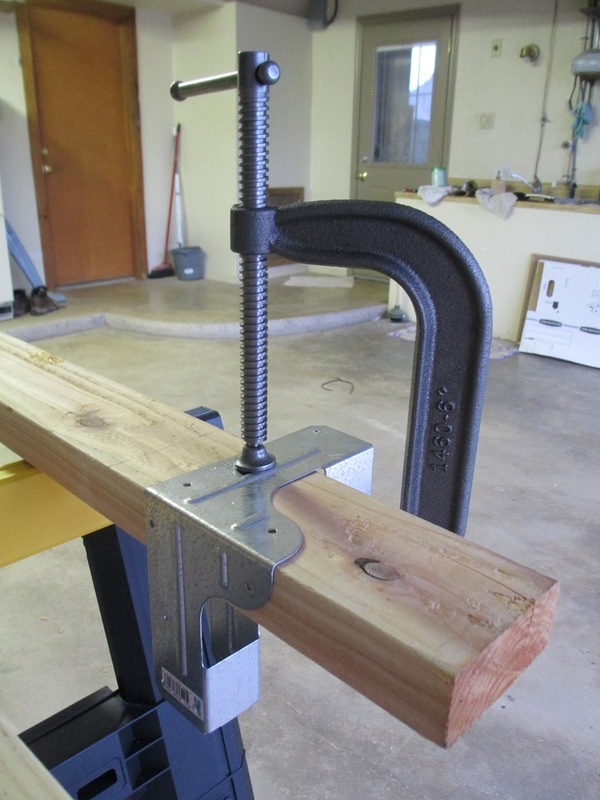 This will allow us to place our brackets on the post such that the beam will sit exactly where we want it. When measuring, it is important to measure from a common point – in this case, the bottom end of the post. Mixing your measurement references can introduce subtle mistakes – or large ones. We described how to make accurate marks in Part 2. So, go ahead and make eight marks at each of the distances above. Due to parallax, the tape measure doesn’t look perfectly on the marks – but it is! You can make marks on all four posts and then move on to attaching the brackets, or you can do a whole post at a time. I did the former, but either will work. Whichever method you do, measure carefully and exactly to ensure that the marks are at the same place on all four posts. Now that you’ve got your marks, it’s time to place our brackets on the beam. Where should they be placed relative to the mark? 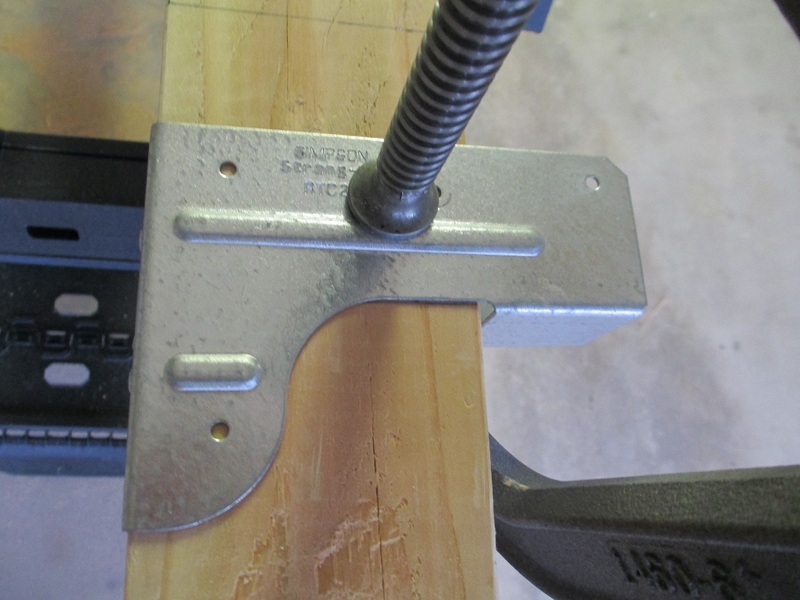 After your bracket is aligned, it is very helpful to use a C-clamp to secure it in place before we screw it in. This will prevent it from moving around. 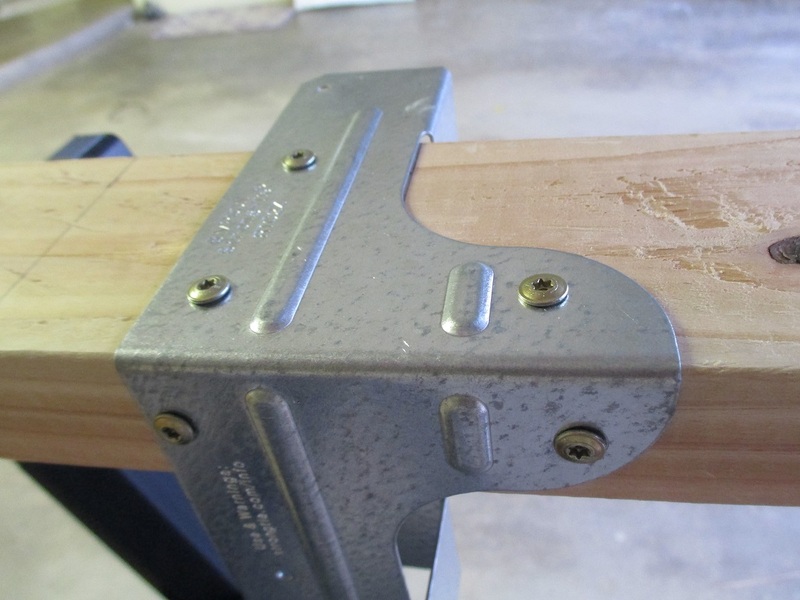 Make sure the bracket is sitting snug against the edge of the post before tightening the clamp. Once you’ve done that, it’s a simple matter of putting in the screws. Make sure you read the next section before you sink your screws. 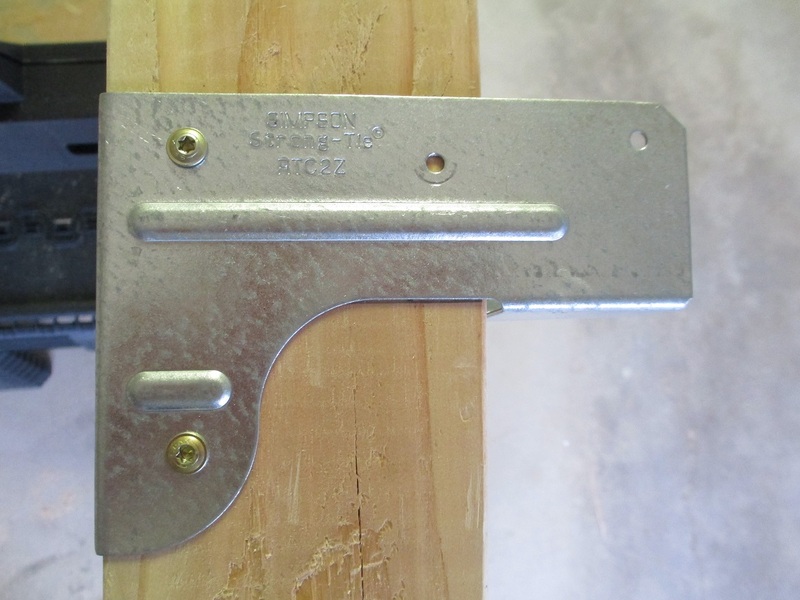 Keep track of the alignment of the bracket – facing down the beam while it’s laying on its long side, the brackets will protrude either to the left or to the right. For obvious reasons, all the brackets on a single post should protrude in the same way. Furthermore, you should have two posts where the brackets protrude to the right, and two where they protrude to the left. This is required for proper assembly. Here are two posts with the brackets aligned opposite. We’ll need two more like these. 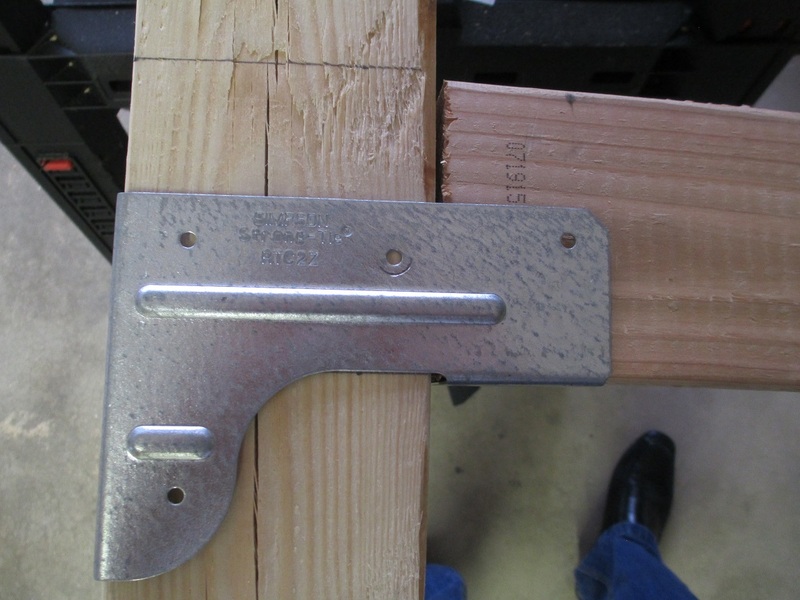 Additionally, when placing the brackets on the post, you should attach the two brackets in the middle of the post first, before attaching the brackets at the top and bottom. 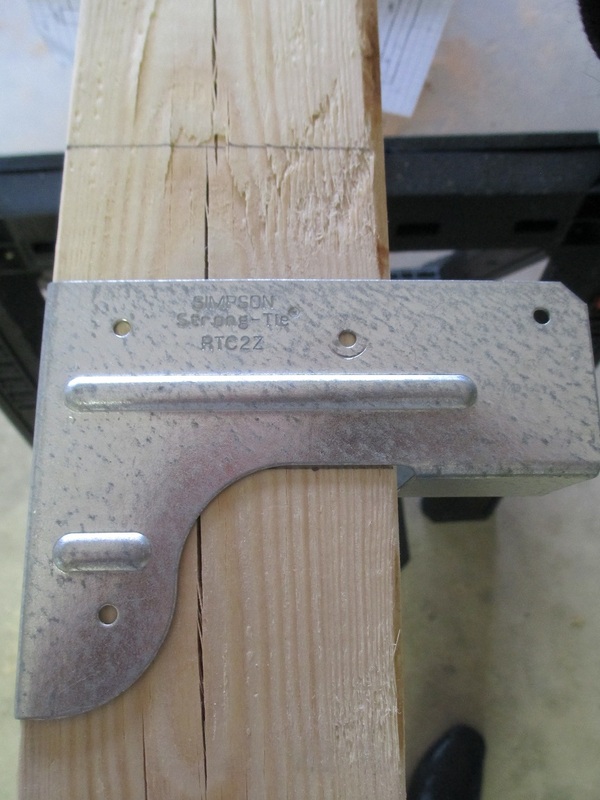 If you do the brackets at the top and bottom first, you won’t be able to get your middle brackets on the beam! Finally, another reminder: make sure that the brackets are consistently placed across all four posts. Each one should be at the exact same level! Have you read the Important Tips section? If so, and you’ve got your bracket down tight, then you’re ready to put the screws into the wood. Once you’ve done that, do the other three beams. And that’s all for this entry! We are now ready to attach the beams to the posts, which will be covered in the final post in this series. Stay tuned!